Where should we send the Deal? 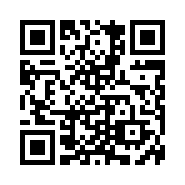 Scan QR code to send coupon to your mobile. For redemption, print the coupon and show it upon checkout/cash out. Terms & Conditions: Please present Coupon before purchase. Limit one Coupon per product per customer; not to be used with other coupons or offers. No cash value. Discount excludes tax or tip where applicable. You will have to verify that we have permission to send messages to this number. You will only need to confirm this number once. Std Msg & Data Rates May Apply. You can text CLICK STOP at any time to unsubscribe. Note: Only eligible coupons in your cart will be sent. A link to the deal and offer details will be included automatically. Here is the link to the deal. Just copy and paste! Tell us why this offer should be removed from MoneySaver. Your report helps everyone in the MoneySaver community, thank you. © 2019 Direct Response Media Group Inc. All Rights Reserved. Get great local deals and enter our current contest draw! Complete these 2 fields to customize your experience and join our exciting community. Email must be valid to be eligible for the contest draw. Read the full rules and regulations. We will never sell your data to any 3rd party or send you nasty spam. Promise. You could get 500 points per invite if you're a member, sign up / log in now!